I am a Jordanian citizen, not an ATM,” read one placard during a protest in the Jordanian capital Amman. Jordanians have taken to the streets since last week in the largest demonstrations in years to protest against recent price hikes and a plan to increase income taxes. King Abdullah II announced a price freeze on fuel and electricity on June 1, but protesters continued to fill the streets of Amman and other parts of the country, calling for the planned tax reform to be scrapped and demanding a change in government. On Monday, the king sacked Prime Minister Hani Mulki, who had been tasked with reviving Jordan’s stagnant economy, and put Omar al-Razzaz, a Harvard-educated economist, in charge of forming a new government. “Jordan's economic malaise is the driver of these protests,” says Nicholas A. Heras, Middle East Security fellow at the Centre for a New American Security. Jordan, a key Western ally, has long been hailed for its stability as much of the region descended into turmoil in the last years. However, the resource-poor nation has suffered from high unemployment and high levels of public debt. “The economy has been hit hard by regional conflicts, border closures, the interruption of gas supplies from Egypt..., dwindling foreign aid and the influx of Syrian refugees,” Suha Ma’ayeh, a journalist based in Amman, told The World Weekly. Salaries meanwhile have either declined or remained stagnant. Many observers say the economic situation has become desperate. “I‘ve been to places outside Amman and saw people buying bread in debt. This is alarming and I think the government underestimated public resentment which has been running high,” says Ms. Ma’ayeh. Earlier this year, the government ended subsidies on pitta bread, causing prices to skyrocket, and increased the general sales tax. The Hashemite kingdom is no stranger to protests against economic measures. In 2012, austerity measures based on International Monetary Fund (IMF) recommendations led to days of unrest. Nevertheless, this was the first time, says Ms. Ma’ayeh, that people from all walks of life participated. While events in Jordan dominated the headlines this week, government measures to curb state subsidies and a lack of services have led to protests in large parts of the Middle East and North Africa. “The whole Middle East is suffering from structural problems” after many years of stagnation, population growth, a lack of economic development and a change in the role of the state, says Harith al-Qarawee, non-resident senior fellow at the Atlantic Council. Spontaneous protests erupted in Cairo after authorities more than tripled some fares in the capital’s metro system in May, aiming to reign in losses. A sustained government crackdown on human rights and civil society “has left the citizenry almost completely bereft of institutional channels of dissent”, says Amr Kotb, advocacy director at the Tahrir Institute for Middle East Policy in Washington DC. In Tunisia, the cradle of the Arab uprisings, protesters took to the streets earlier this year after the government introduced new austerity measures to meet the demands of international lenders, leading to price hikes. Morocco has witnessed bouts of protests over economic inequality in various parts of the country. In Iraq, people last week blocked roads between Baghdad and the city of Karbala to protest power cuts in the area. A protest movement has formed around demands to improve services such as electricity and access to water. “Protests to demand services peak during summer due to high temperatures,” explains Dr. al-Qarawee. “There is a feeling that the ruling elite has failed to solve the problem.” Many point to the detrimental impact of corruption. Across the Middle East and North Africa, there have been protests due to a reduction in subsidies, says Justin Dargin, a leading Middle East energy expert from the University of Oxford. “Most of the subsidies are not well targeted to the citizens that they ostensibly assist, in that they are regressive and more well-off consumers tend to obtain the majority of the benefits,” he told TWW. In Egypt before the Arab Spring, for example, the poorest 40% percent of the population only received approximately 3% of the gasoline subsidies, says Mr. Dargin. It is estimated that countries in the Middle East and North Africa spend around $250 billion on energy per year, equating to nearly 50% percent of total global subsidisation, according to Mr. Dargin. Protests against economic reforms and a lack of services go right to the heart of the social contract governing relations between citizens and governments in many countries in the region. “Price subsidies were a crucial pillar of the social contract between the rulers and the ruled,” says Mr. Dargin. Mr. Dargin sees a problem in the way subsidies have been implemented, stating that they are “not a cost-effective method of support for the impoverished and tend to have a heavier cost on the governmental budget than more targeted subsidisation”. Turning over a new leaf in Jordan? When he appointed Mr. al-Razzaz as Jordan’s new prime minister, King Abdullah II called on the new cabinet to review the taxation system and engage in dialogue with various stakeholders about the tax law that triggered the protests. The king has long been regarded as a unifying figure in the kingdom. 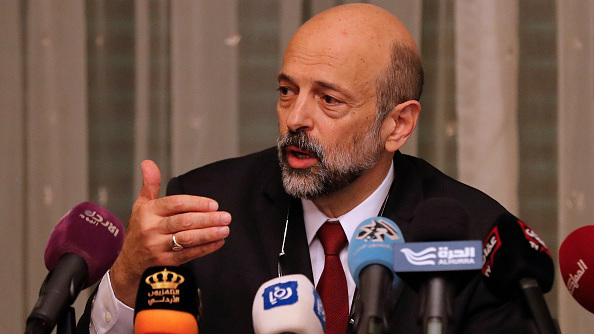 Prime Minister al-Razzaz is seen as a reformist “who thinks outside the box”, says Ms. Ma’ayeh, but “his appointment is not enough for Jordanians”. Indeed, protests continued after his appointment following a call for demonstrations by labour unions. Mr. Heras warned about what might lie ahead. “Jordan is entering the endemic instability phase. There's only so much that can be done. The Jordanian economy is a wound that can't be closed easily,” he told TWW. Ms. Ma’ayeh sees the economic situation as “a threat to the country’s stability, made worse by limited political reforms”. A report on Wednesday said that Jordan was to ask the IMF for more time to implement reforms. One sign at a protest in Amman on Wednesday called for a systematic change, not a change in personnel. Another hot summer in the Middle East and North Africa could pile more pressure on governments to improve services and bring about economic relief.